10 And the God of all grace, who called you to his eternal glory in Christ, after you have suffered a little while, will himself restore you and make you strong, firm and steadfast.11 To him be the power for ever and ever. Amen. Let’s look at this as my claim as a Child of God: I will cast all my anxiety on God because He cares for me. I will be alert and sober of mind. My enemy the devil prowls around like a roaring lion looking for someone to devour. I will resist him, standing firm in the faith, because I know that the family of believers throughout the world is undergoing the same kind of sufferings. 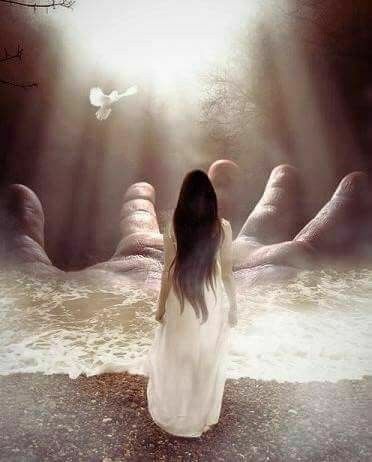 And You, the God of all grace, who called me to Your glory in Christ, after I have suffered a little while, will Yourself restore me and make me strong, firm and steadfast. To You be the power for ever and ever. Amen. Yesterday, I didn’t think it was possible for me to believe this declaration. I was ready to give up. I was so consumed by what I didn’t have that nothing I had made any difference to me. Show me something good, and I could find the drawback to it. I wanted to give up, I was so weary from struggling. But for the first time in my life, there was an undercurrent to my despair that I just couldn’t shake no matter how desperate and despondent I felt. For the last eight months, I had professed to others that I had confidence that God had a greater plan for me. I believed that He had removed me from a job that was destroying my spirit. I believed that he had something better for me. Recently, I thought He was finally going to give me that “something better”. I applied for a job that I believed I was perfectly suited for. And, again, I professed that I believed that if this was where God wanted me to be, nothing – not even having been fired – would keep it from me. And if it wasn’t where God wanted me to be, He would shut that door soundly. I really wanted this to be God’s decision because I wanted to know beyond any doubt that I was where God wanted me to be. Well, it turned out that God chose to shut this particular door. I have to believe that because when I left after my interview – which went exceedingly well – one of the interviewers told me she was confident that they would be calling me back for a second interview. The next news I heard was a letter telling me they’d filled the position. I wish I could say I praised God and called everyone who’d been praying for me and announced, “Praise God! He saved me from the wrong job and has something even better waiting for me!” but I didn’t. I cried. And I cried. And I screamed and doubted and pouted and wondered what was wrong with me. I wondered where God was. When – when?! – would He help us out? Our medical bills are piling up. We have little freedom with our money. We have no savings in case something goes wrong with the car or the house. And yet – and yet! – I spend hour after hour helping Beyond the Yellow Ribbon of Brown County prepare to help families when their spouses deploy. I spend hours upon hours responding to emails and attending meetings for a second board to make sure the staff in my and other board members’ care is taken care of. I spend time writing grants for another organization I belong to so they have money to put on a performance for the community. I spend hours preparing a meal each Wednesday for a bunch of kids who may not even care if I live or breathe. And what about me? Who’s helping me? So back to my promise from God: I will cast my anxiety on Him because He does care for me. I cannot doubt that. He’s not punishing me, He’s protecting me. He’s preparing me. I don’t know what for, but it should be pretty good. But in the meantime, I have to be careful with my thoughts and words. I have to be on guard against Satan because he knows how easily I can be discouraged. He knows that I doubt others, including God. He knows how very little I think of myself and how little I trust others. And he knows how scared I can get when I don’t know what’s going on. And so I will resist him because I know that I’m not the only one of God’s children who are going through this. Others have even greater worries than I have. Others don’t have homes, electricity, water or food. Others are horribly sick or dying right now. Others have so much less than I do. But God has called me and each one of the others to Himself through Christ. He chose us and knows us each by name. He loves each one of us can had good plans for each one of us because He is a loving Father, and He knows that His glory will be shown to the world through us. And after we have each suffered for a while, He promises to restore us. Even better, he will make us strong, firm and steadfast. I said at the beginning of the year that my goal during my unemployment and for the year was to become unshakable in my faith. Well, I’m not there yet but today I’m a lot closer than I was nine months ago. I am stronger. I can stand firmer. I got up more quickly this time than I ever have before. I rely on what I know more than what I feel more quickly than I ever have before. So the enemy had better watch out because this is one woman, one family, one spirit that he won’t devour this time. Today has seen a miracle because I am standing firmer than I have ever stood before on a faith that I wasn’t sure I had. For this, I give God the glory and proclaim that all power is His. Satan lost this one, and I have abdicated my claim on my own life today. Let’s just pray I don’t ask for it back tomorrow! Oh, Frank! Why did you have to pick THAT ONE to encourage me with? My husband hasn’t been working for almost two months and has done NOTHING to help our financial situation. Yesterday, I gave him an ultimatum. I just had published the story of how I believe God put us together. I’m feeling as hopeless as I have since I wrote that post almost seven years! And THIS is the post you pick. Who’d have thought I’d end up ministering to myself someday?